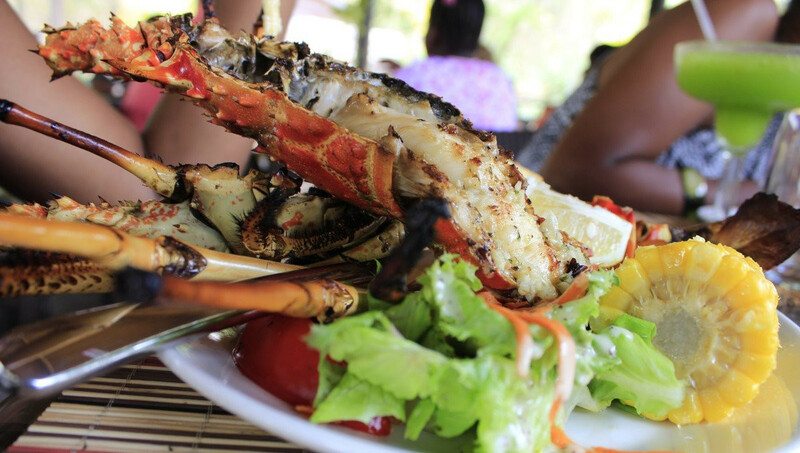 Anguilla offers a vast array of cuisines. For every mile of its 35 square miles you are destined to find one that entices you enough to have breakfast, lunch or dinner. Located mainly on the beach front, road side or at the resorts throughout the island, they are all easy to locate and access. Bella Blu Resort is nestled between some of the island’s top restaurant! On its left it is complimented by Waves and Ocean Echo and the Bamboo Seafood and Grill restaurant located at the world-renowned Four Seasons Resort. The famous Straw Hat, Blanchard’s Beach Shack and Blanchards Restaurant. Some of the island’s favorites specializing in local and cultural cuisine are Johnno’s Beach Stop located in Sandy Ground, Tasty’s restaurant and E’s Oven restaurant located in South Hill, Ken’s BBQ Grill located in the Valley, Gwen’s Reggae Grill located in Island Harbour, and Da Vida’s located in Crocus Bay, just to name a few. From a wider variety such as Italian cuisine you may pay a visit to Dolce Vita or Tratorrio Tramonto, for Asian cuisine you may want to pay a visit to Sunset Lounge, Four Seasons Resort or Tokyo Bay at Cuisin Art Resort and Spa and for French cuisine you should definitely pay a visit to Le Bon Pain Bakery and Hibernia restaurant.